Sorry it's so late, but I finally got my computer back working. 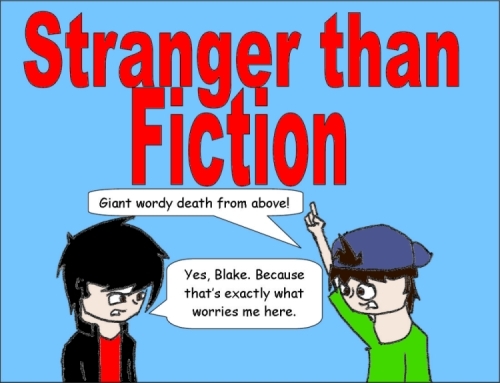 I'm building up to something for the fiftieth, then hopefully I'll get back to the storyline with Blake, Damian and Emily trying to escape. 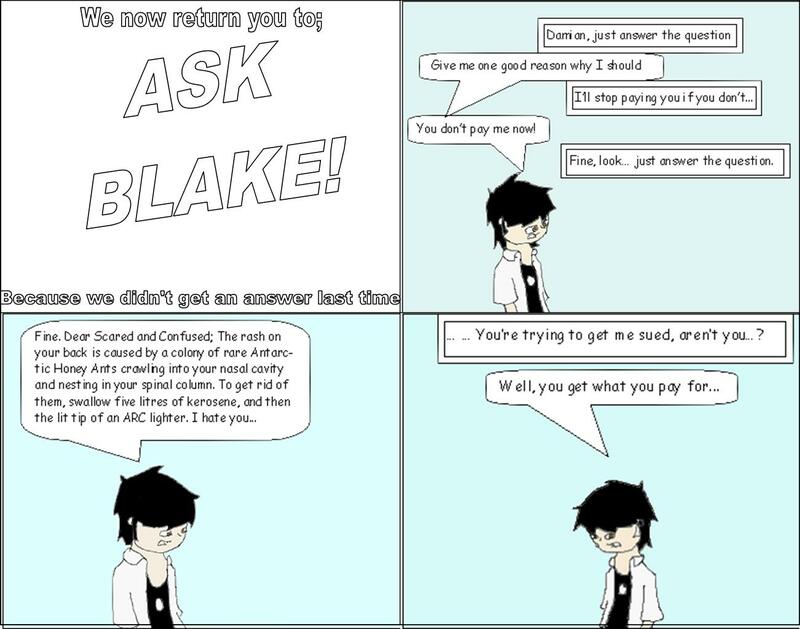 Lol... but why isnt blake answering the ask blake? This is the second part of a small story arc. Check the previous comic, then read this one again.